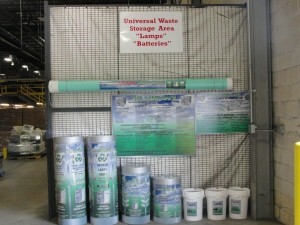 We have all tossed fluorescent lamps into the trash at work and home for as long as we can remember. This process has never been environmentally friendly and now it is no longer legal for private businesses and government facilities to dispose of mercury containing lamps in this manner. 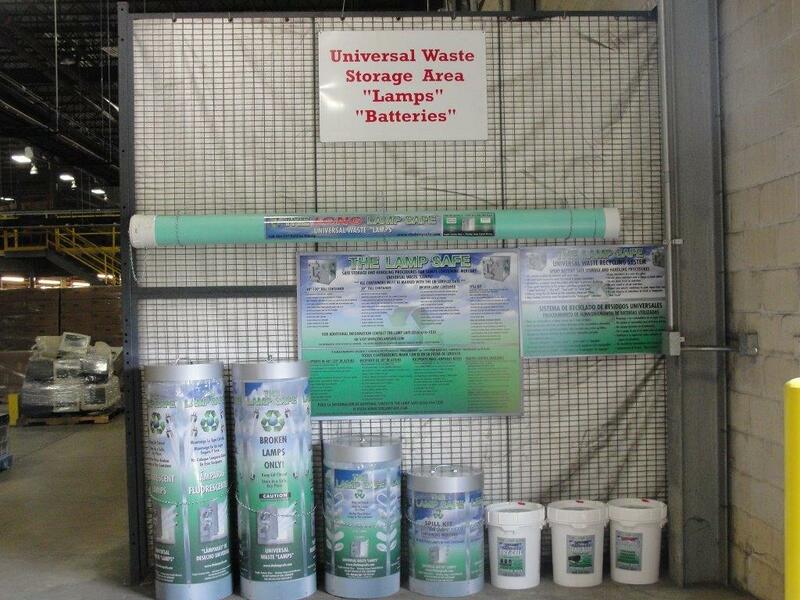 The DEP has specific guidelines for the recycling of “spent” fluorescent lamps. For more information on these rules see our Resources Page. 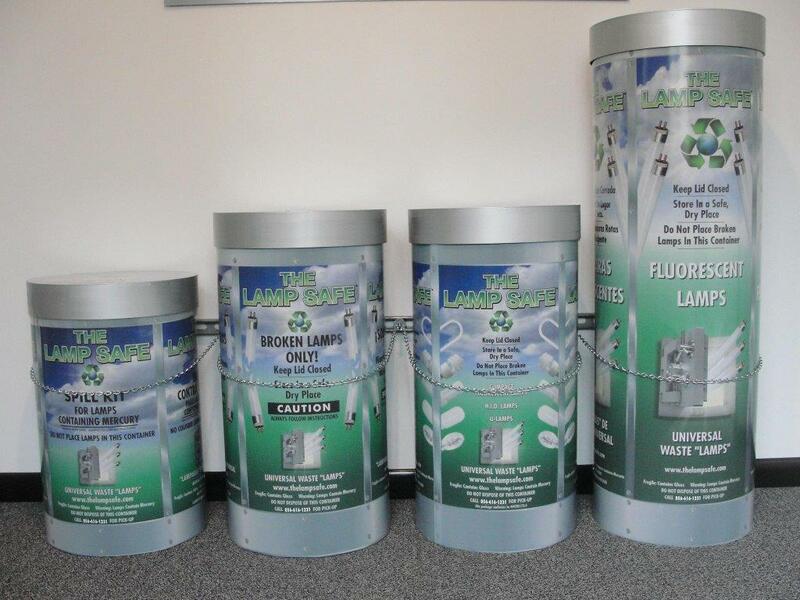 The Lamp Safe is a handling service for fluorescent lamps, ballast, and batteries which provides training, recycling containers, spill kits, pick up and transporting to the recycling facility, and a Certificate of Proper Recycling for your records. 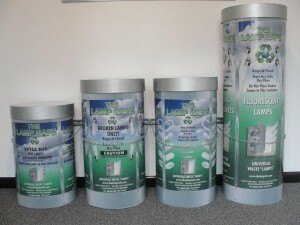 The Lamp Safe recycling system will keep your facility compliant with these Federal and State regulations. 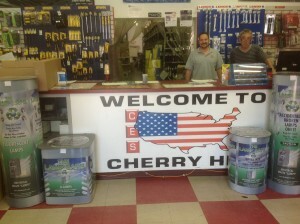 ♦ Training is included on site at your facility for all personnel who will be handling the fluorescent lamps, ballast, and batteries. 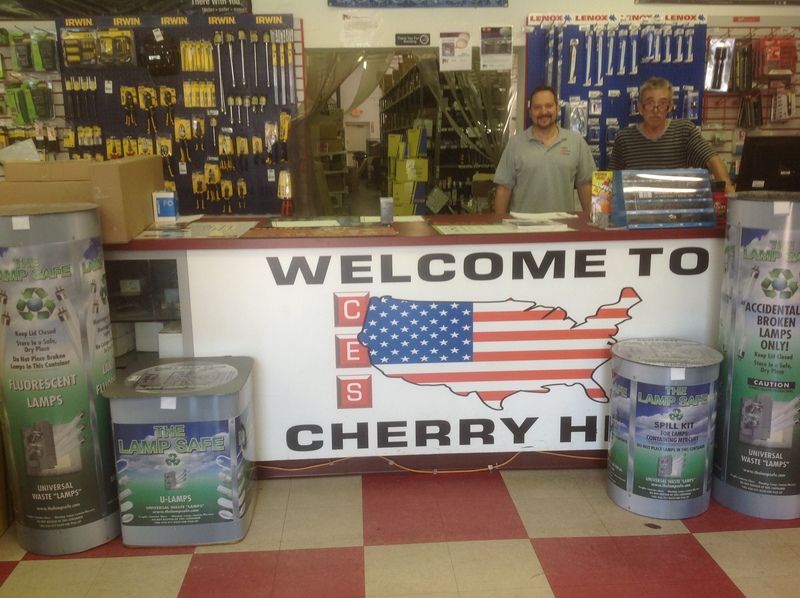 ♦ Spill kits provided will assist you in the cleanup of incidentally broken fluorescent lamps, which require special handling. ♦ Pre-arranged pick up dates keep you free of excessive storage. 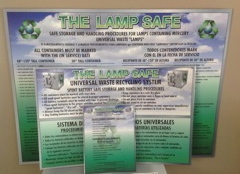 ♦ The Lamp Safe service also provides you with a Certificate of Proper Recycling of this controlled waste.